What makes this British select school learn Chinese in Mandarin Garden for three consecutive years? On the morning of March 25, 18 students from British select school, Sevenoaks School, came to Shanghai for a four-day study tour. 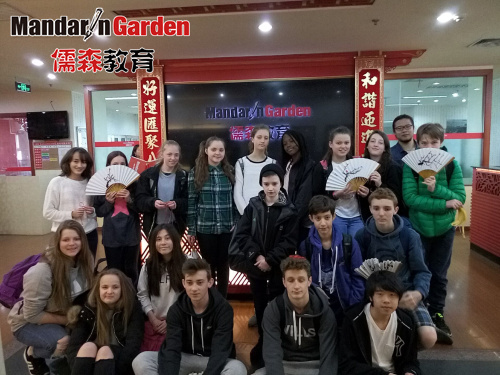 It is the third consecutive year that Mandarin Garden received study tours from Sevenoaks School. 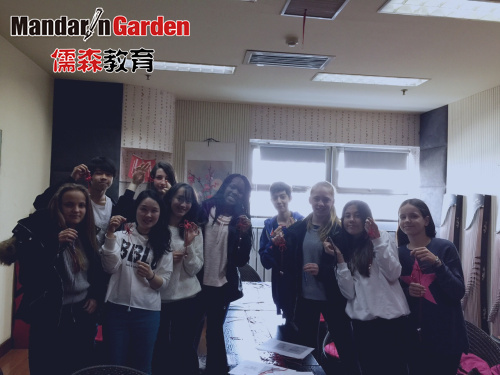 During this four-day tour, the 18 students spent half a day every day to learn Chinese language and culture, and went sightseeing in Shanghai the rest of the time, so as to improve the ability of Chinese language in the form of immersion learning. As a professional TCFL (teaching of Chinese as a foreign language) school, Mandarin Garden’s professional teaching services have connected the students to the local courses in UK seamlessly. The 18-member was divided into 4 classes of one-to-one, one-to-two, 7-student class and 8-student class based on students’ Chinese level and learning needs, and taught by senior theoretical and practical training teacher in Mandarin Garden or aggressive pre-service teachers respectively. 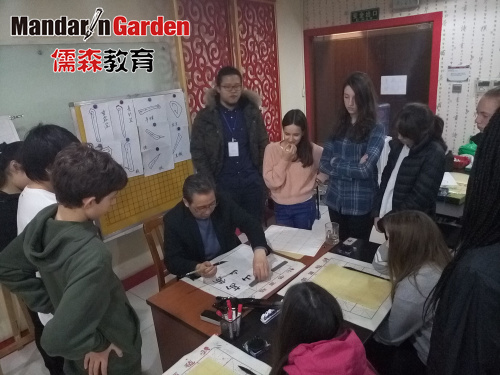 In particular, students were required to learn traditional Chinese characters this time, therefore Mandarin Garden chose the most suitable teachers and used the way of one-to-one teaching at the same time, so that students can learn more smoothly. 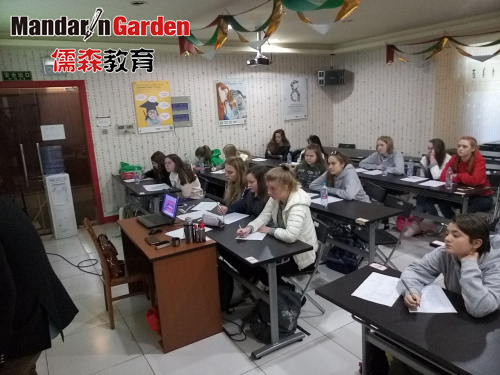 Besides, the curriculum design of Mandarin Garden allowed the students experiencing Chinese traditional culture outside school, they could be aware of the flexible learning pace by having two Chinese classes and a culture class every day. Over the past three years, the cultural skills teachers from Ru Hong Academy, a college of Mandarin Garden Group, have brought students a variety of culture courses, such as Gu Zheng, tea ceremony, calligraphy, Chinese painting, Chinese knot, fan painting, opera facial make-up, etc., which more than satisfied the lead teachers of Chinese teaching group in British Sevenoaks School. Prev: Why does European University set short term courses in Mandarin Garden?